I've reviewed a number of Awesome Science videos in the past, and we love them all. But now I have the chance to talk about my two absolute favorites, thanks to Master Books. 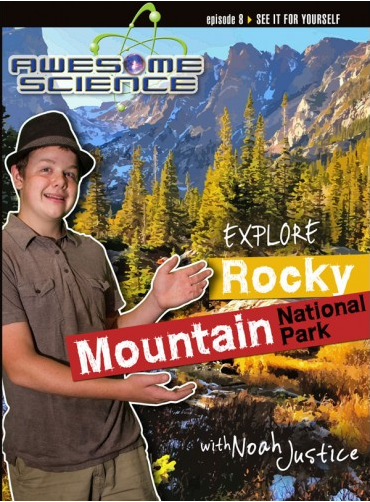 Awesome Science: Explore Rocky Mountain National Park with Noah Justice -- this one is definitely my favorite. Not only does he talk about the national park nearest to us, but he also talks about the Great Sand Dunes, a place we've been frequently, and Garden of the Gods, where we've been even more often. So this video took place practically in our backyard. Okay, well, our backyard is pretty boring, but everything is within a few hours of us. Oh, and he visits Devil's Tower in this video too. Another place that is pretty cool, but a bit further of a drive for us. A big focus of this DVD is erosion and the formation of the Rocky Mountains. The other title is at my favorite-ever National Park. 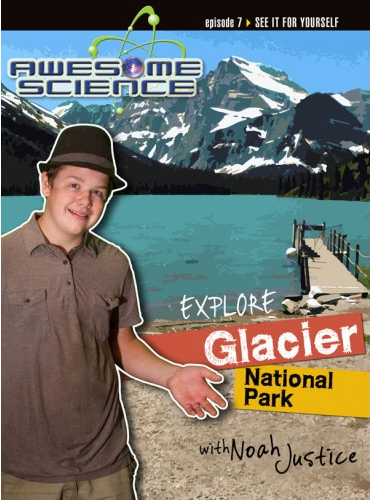 Awesome Science: Explore Glacier National Park with Noah Justice. My last family vacation, really, involved a train trip across North Dakota and Minnesota and then about a week at Glacier National Park. We did a ton of hiking, and going out to visit glaciers was just incredible. I remember the wildflowers especially. So it is about a place I loved. More than that, though, the primary topic is ice ages and how they could happen and what type of evidence there is about them. I particularly loved when Noah brought up the impending ice age scare of my childhood. My kids never seem to believe me when I tell them what I was taught about "climate change" in school. These eight episodes are all wonderful, and I'm thrilled to have these two newest titles in my home. There is a Book and a Treat Facebook party coming up tonight, March 25 at 7 pm Central Time, where you could win cool prizes -- and discuss the series too. Disclaimer: I received these DVD for free from New Leaf Publishing Group as part of the Moms of Master Books program. No other compensation was received. The fact that I received complimentary products does not guarantee a favorable review.